He's been a full time employed Real Estate agent for over 23 years and has managed to stay successful through the constant changing market. In his own words "I can credit my success to three key elements: adaptability, accountability and my ability to negotiate." Trinidad has listed and sold hundreds of homes throughout the years and due to his ability to adapt he has been able to recognize the market trends. He takes the time to strategically execute an approach to yield success on every single transaction. 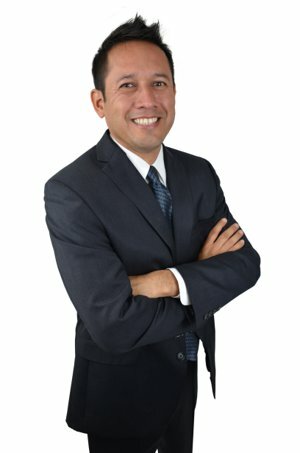 He has a great degree of experience working different type of transactions ranging from, real estate owned, standard sales, probate and short sales. According to him, "The market has been fantastic over the past several year and sellers are seeing their equity grow steadily year over year. But it's very important to recognize your options and determine your end result. Every transaction is unique and it's necessary to take the time to know your clients". At heart Mr. Gaeta is a natural helper- he strives to go above and beyond to take care of everyone. He's managed to build a great reputation with business and his focus is on doing the right thing! A very enjoyable person to work with, he chooses the best attitude and carries great energy. "You need to direct your energy, surround yourself with people who will reciprocate it. At the end of the day communication is the nucleus to every working relationship". Multi Year Remax 100% Club and Platinum Award Winner! Volunteer as a committee member with sole mission is to raise funds for The Children’s Miracle Network Hospitals of Los Angeles.